Editor’s Note: GraphGrid is a Bronze sponsor of GraphConnect San Francisco. Register for GraphConnect to meet Ben and Brad and other sponsors in person. I recently sat down with Ben and Brad Nussbaum, the co-creators of GraphGrid to talk more about their role as one of our Neo4j solution partners and to dive deeper into their Neo4j Enterprise platform-as-a-service offering. Talk to me about GraphGrid. What’s your story? So to understand GraphGrid, let’s dive into a little back story: We co-founded AtomRain nearly seven years ago with the vision to create an elite engineering team capable of providing enterprises worldwide with real business value by solving their most complex business challenges. As we figured out what that looked like practically, we found ourselves moving deeper down the technology stack into the services and data layer where we handled all the heavy lifting necessary to integrate data sources and provide the functionality, performance and scale needed to deliver powerful enterprise service APIs. In early 2012, we had our first exposure to Neo4j and experienced first hand the potential of graph databases and over the next couple of years refined the integration of Neo4j into our enterprise technology stack. After delivering multiple enterprise solutions built around Neo4j that required the same foundation, we experienced the same pain of our customers, who often spent months laying a solid foundation of integration and operations around Neo4j before they could focus on the core services functionality their business needed. This sparked many conversations over the next several months. We just needed to figure out the best way to meet the need so it would be accessible to all enterprises interested in using Neo4j. One morning, in February 2015 we called the folks at Neo Technology, pitched the idea and worked out the details for such an offering. We wanted to make sure we were in lock step with them on this to make sure it aligned with their objectives as well. From there, we set out to define the initial requirements for a data integration and service platform that would help enterprises succeed on their Neo4j journey, picked a name, assembled the team of engineers that would be building it and began our big investment in what we see is an incredible future for the graph. GraphGrid is the full suite of essential data import, export and routing capabilities for utilizing Neo4j within your modern data architecture. At its core, GraphGrid, enables seamless multi-region global Neo4j Enterprise cluster management with automatic failover for disaster recovery. A powerful job framework enables our graph analytics and job processing, which removes the need to move data out of Neo4j to do analytics and batch processing of data because you just deploy your algorithms as extensions and write the results back to the graph. ElasticSearch auto-indexing keeps your search cluster updated with the latest data from your graph with, at most, a few seconds latency. How does GraphGrid address global scalability and failover? The GraphGrid platform is designed to solve high availability challenges. We support clusters that span multiple geo regions and multiple data centers within a region. The time to failover is usually a few seconds if an entire region goes offline and geo load balancing is implemented to take advantage of the second region capacity. What is GraphGrid’s approach to security, especially in light of so many cloud providers recently being hacked? Good security starts with your employees. Our team approaches security with respect and discipline. We design and develop with security as a first step. One of the most important features of the GraphGrid platform is the ability to deploy clusters into segmented networks unreachable by other customer instances. In this way, customers gain a higher degree of security on an instance level. What experience do you and your team bring to this endeavor? We really can’t say enough about how much I appreciate our team. We’ve been fortunate to work with engineers with outstanding character, great work ethic and a desire for continued learning and personal improvement. We’ve been working together for nearly four years solving complex engineering challenges in mission critical environments for global enterprises and every time we deliver a solution, I see tremendous growth taking place across the organization because getting across the finish line in a demanding enterprise environment is trial by fire. It’s that very refinement in engineering rigor and discipline coming from detailed architecture defenses of the software systems we’ve delivered that has prepared us to build GraphGrid in a manner that provides real business value to enterprises worldwide by standing up under their work load day in and day out. From a purely quantifiable perspective, we’ve been working with Neo4j since version 1.6 (early 2012) and eight of our engineers are certified Neo4j professionals. Did timing have anything to do with your creation of GraphGrid? We’ve been in the trenches building and managing enterprise Neo4j clusters for nearly four years as part of our custom enterprise software solutions and through this we’ve seen a recurring trend in needs across enterprises utilizing Neo4j to the point where it made sense to create a platform capable of meeting these needs for general enterprises without needing to rebuild the foundation every time. Additionally, Forrester validated what we were seeing in the market with their projections. According to Forrester research, by 2017, 25% of the top 2000 enterprises will be utilizing a graph database. So for us it made sense to rally our team to bring this to market so enterprises would have a trusted foundation with proven patterns for taking advantage of graph in their architecture. How does GraphGrid work together with Neo Technology? We’ve worked closely with Neo Technology as a trusted solution partner consulting with many of their enterprise customers on their implementations from embedded on bare metal on-premise to stand alone on virtual instances on cloud infrastructure. From the inception of GraphGrid, we’ve been engaged with Neo about the exact platform capabilities and service offerings to make sure it all aligns closely with their enterprise strategies and objectives. We’ve received great feedback from the team at Neo on the platform and continue to work closely with them going forward. Why does the enterprise market need GraphGrid? The corporate world is full of “safe” technology choices with over twenty years of successful production usage by global enterprises to justify the selection. This immediately puts Neo4j behind the eight ball with usage dependent on a value proposition worth the risk of choosing a less established technology. It’s that very value proposition that we first experienced in 1.6 when we used Neo4j for a complex media workflow solution. This is the enterprise landscape and GraphGrid exists to make Neo4j a proven, safe, reliable and trusted technology choice by software and solution architects worldwide. What about startups? Is GraphGrid appropriate for them too? Definitely. In some cases, we’ve actually seen it provide an even greater boost to startups than established enterprises. Here’s why: A startup, whether well-funded or bootstrapping, is generally trying to run lean and allocate budget for personnel that will be building critical functionality that gets their product or service to market and maximizes the value of the company. By offloading their DevOps requirements to the GraphGrid Data Platform and utilizing our Development Quick Start package with proven graph templates, enterprise patterns and direct access to our certified Neo4j professional engineers, they go from zero to 60 overnight instead of spending the first 9-12 months laying a solid foundation that will propel their company forward. So as a startup when you get to start building on an already proven foundation and focus on building functionality that maximizes your value your potential for success and ROI increases exponentially. What is the biggest benefit of using GraphGrid? The biggest benefit of using GraphGrid is the wealth of enterprise software and enterprise Neo4j development and DevOps experience you have at your fingertips to guide you in your graph journey. Our team of certified Neo4j professional engineers has been delivering enterprise Neo4j solutions together for the last three years. The biggest benefit of the platform itself is the data integration and scalable graph job processing frameworks that have been put in place around Neo4j. This gives enterprises tremendous flexibility to smoothly flow data into and retrieve data from Neo4j while seamlessly scaling up additional resources as needed to meet peak demand and perform graph analytics and job processing. How does GraphGrid differ from other Neo4j cloud hosting companies? We’ve poured our combined decades of experience delivering mission-critical enterprise software into every aspect of the architecture, design and development of the GraphGrid Data Platform to ensure it is able to withstand the rigor of an enterprise workload. We only deploy and manage Neo4j Enterprise clusters. It is not an option to deploy Neo4j Community on the platform because it’s never acceptable to go to production without high availability (HA). We deploy across 9 regions and 27 availability zones around the world so anyone using GraphGrid instantly has a global reach. A bonus one is our enterprise security architecture that is part of the foundation of the infrastructure: All instances by default are deployed into a VPC with dedicated subnets utilizing access control lists to manage infrastructure access within an organization. (Ben chuckles) I guess that’s already more than two and I could keep going. We’re just very excited about the differential benefits that we’ve experienced with our customers’ solutions using our platform compared to before when we were delivering solutions without GraphGrid. How can other solution partners or developers benefit from GraphGrid? We have a Consulting Partner program and one of our goals in this that we see is being able to unify the other partners’ product offerings at the application framework and visualization layers by providing a platform that handles the heavy data lifting and operational concerns for them so they can focus on the application features being built for their specific use case. Great. Thanks so much for taking the time to interview and we look forward to seeing more of you guys at GraphConnect. 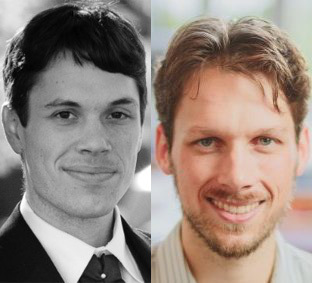 Register below to meet and network with Ben and Brad Nussbaum of GraphGrid – and many other graph database leaders – at GraphConnect San Francisco on October 21st. Bradley Nussbaum is the CEO and Chief Software Architect of AtomRain. His greatest passion is engineering and the challenges that come from building large-scale software systems. He has extensive experience leading development teams of 10+ in building robust enterprise applications and infrastructure that are secure, scalable and performant under highly concurrent user load.